Switchable high power - low power output. Built in earth stake and handle. 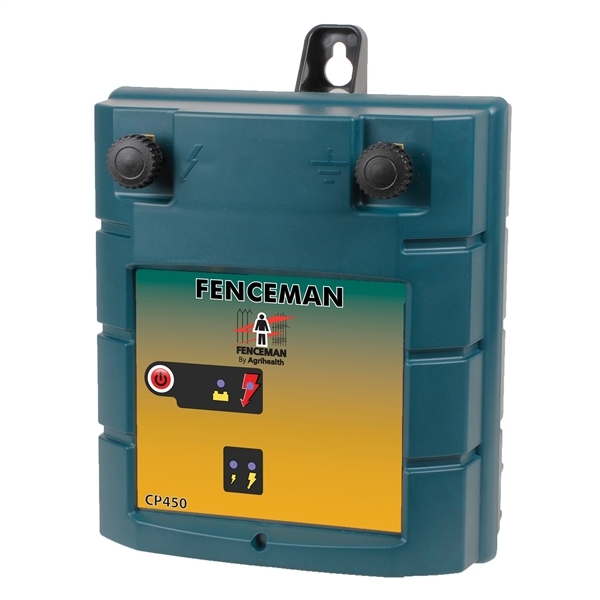 The CP 450 energiser is a flexible general purpose electric fencing energiser, usually run from a rechargeable 12 volt battery (not included). 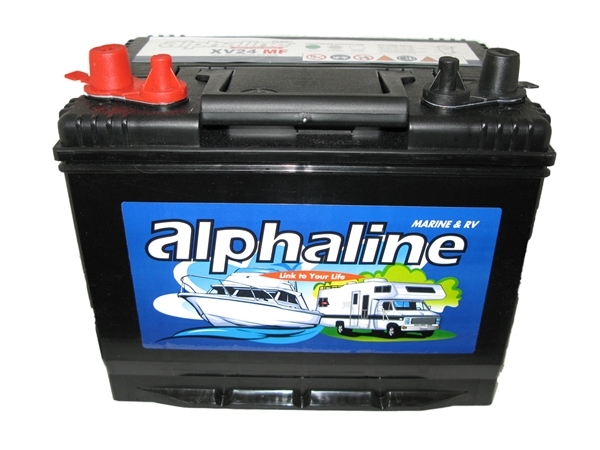 The addition of a D-cell back up battery system built in to the energiser means the unit can run without a 12v battery, if required. 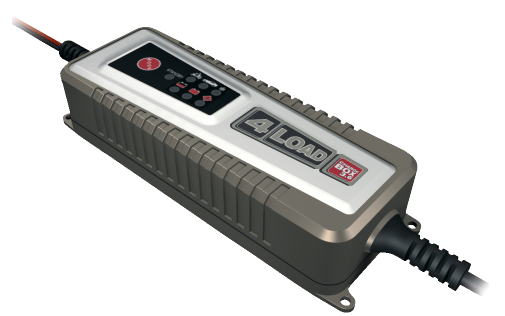 The 4 x D-cell back up batteries are included (although not rechargeable) and can be easily changed via a cassette type of system. 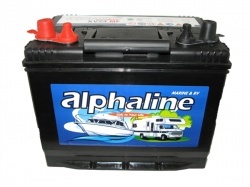 Good quality D cells will the unit for 3-4 weeks with the out put set to low power. In use this means you can have a 12v battery powering the fence. Every 3-4 weeks this must be recharged, as soon as you take the 12v battery away the back up system takes over so the fence is never off (unless you chose to switch it off with the convenient on/off switch). This energiser can also run from the mains, although the mains adaptor needs to be purchased separately. 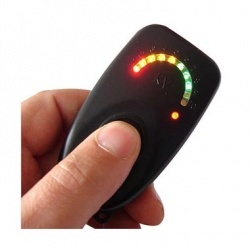 The energiser is very easy to use, with a clear "on light", power level light and battery low light. The energiser has 2 levels. A high setting that can be used for challenging animals, and a low setting that can be used once the animals have learnt to respect the fence. Please note earth stake does require bolting together. Choose to ADD a Mains Adaptor, to allow this energiser to run from the mains if required. A lot to like about this unit - switch is on the front so it is easy to see and use, half power setting is great as it increases the time between having to recharge the battery. The full power setting allows you to train cheeky animals to respect the fence. The back-up batteries are a good safety option. 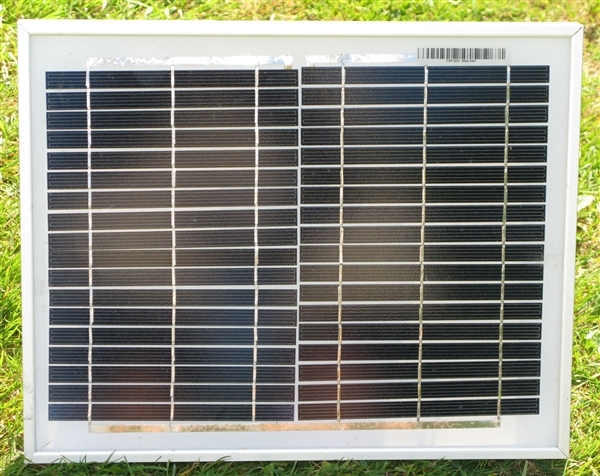 Consider adding a Solar Panel to charge your 12 volt battery. No more lugging heavy batteries around! 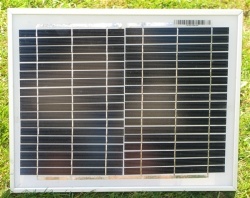 Solar panels are very reliable and easy to use.